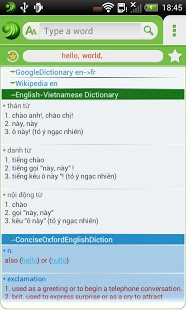 AntTek Dictionary is a free GUI for (offline & online) dictionaries supporting more than 50 language pairs. The most beautiful part of this app is the capacity to look up definition while using other apps (Web Browser, Ebook Reader) thanks for floating windows. We look at the best integration with Android platform. 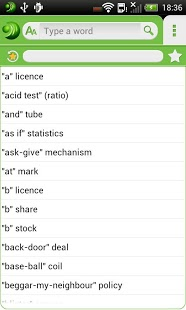 ☆ Look up word definitions with different matching strategy: exact, start with, end with or both. 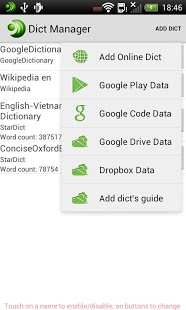 ☆ Look up from online dictionary including Google Dictionary, Wikipedia, Bing Translate, Google Translate, Abbreviation, Abbreviation Dictionary, Yahoo Spelling Checker, Zachblume Spelling Checker.